The subtle texture and rich grey-blue silk on this handmade lampshade make it a truly elegant object. 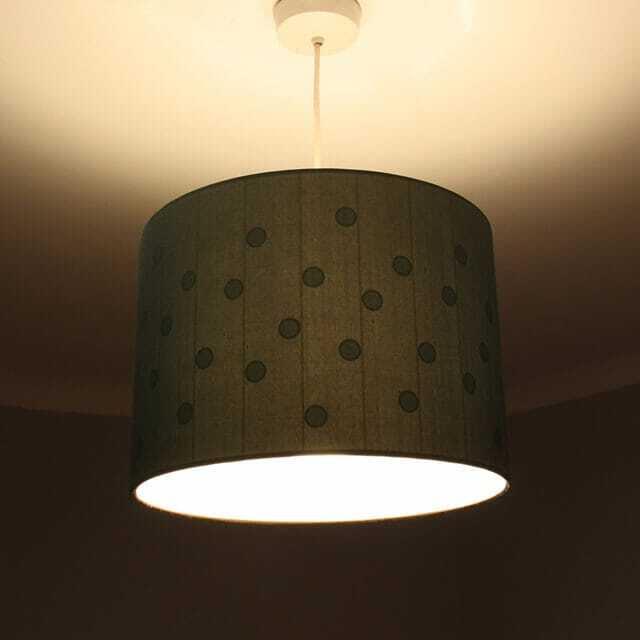 Once lit, the shade totally transforms to reveal a hidden graphic design of playful dots. Otherwise invisible, they only appear when illuminated by the glow of the bulb, then magically disappear when you switch off. 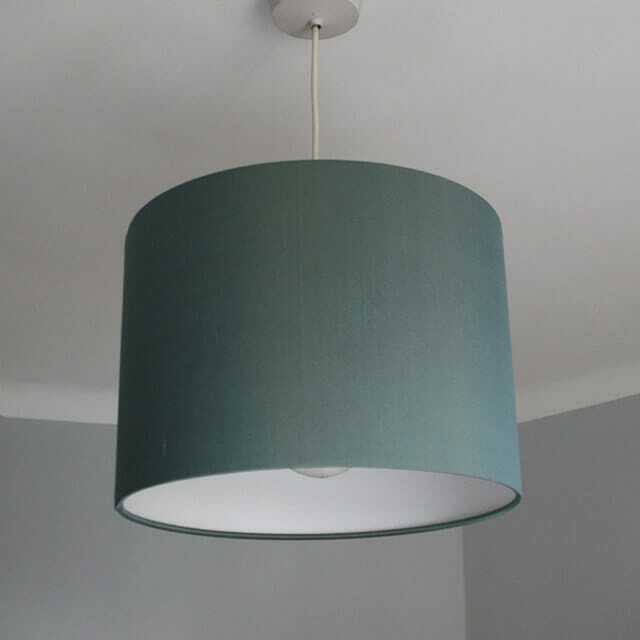 Finished in ‘Ether’ coloured silk, this handmade shade features a rolled edge and the lamp holder ring is fitted at the top of the shade so it can attach to a pendant light fitting and hang downwards. A removable converter plug allows the shade to fit both a standard 29mm UK lamp holder and a 41mm diameter European fitting.